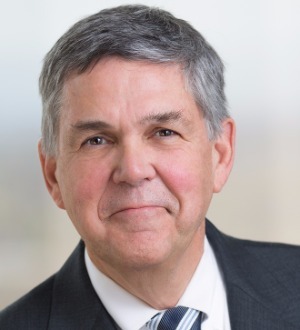 Wayne Landsverk has been advising and representing Northwest employers in all areas of employment and traditional labor law for over 40 years. He has extensive experience with union organizing drives; National Labor Relations Board (NLRB) representation hearings of all types (certification, decertification, deauthorization, unit clarification); NLRB unfair labor practice hearings (both defending them and bringing them against unions); secondary boycott issues, strikes, slowdowns, sabotage, injunction, and TRO proceedings; federal and state court litigation relating to collective bargaining agreements; and appeals in the Fifth, Seventh, Ninth, and D.C. Circuits, the Oregon appellate courts, and the U.S. Supreme Court. Wayne’s practice also includes advising employers regarding wage-and-hour issues, employment discrimination, harassment and retaliation claims, affirmative action, unemployment benefits, OSHA compliance, noncompetition issues, and a wide range of employment litigation. Over the years Wayne has also handled hundreds of labor arbitrations and grievance proceedings involving numerous local and international unions. These unions include Machinists, Boilermakers, Sheet Metal Workers, Teamsters, Electricians, Laborers, Painters, Riggers, Operating Engineers, Molders, Pipefitters, Oil, Chemical, and Atomic Workers, United Auto Workers, United Steelworkers of America, Pulp and Paper Workers, Industrial Workers of the World (“Wobblies”), Ironworkers, Carpenters, Metal Trades Council of Portland and Vicinity, Pacific Coast Metal Trades Council, and Pacific Northwest Employees Association. Wayne is a member of the Labor Lawyers Advisory Committee of CUE, Inc., an organization for positive employee relations. There are 22 lawyers on the committee—19 located throughout the United States as well as members from Europe, Canada, and the United Kingdom. Wayne is the only Pacific Northwest member of the CUE LLAC. The CUE connection provides unparalleled access to a wealth of information and resources for employers who wish to maintain positive employee relations and remain union-free.